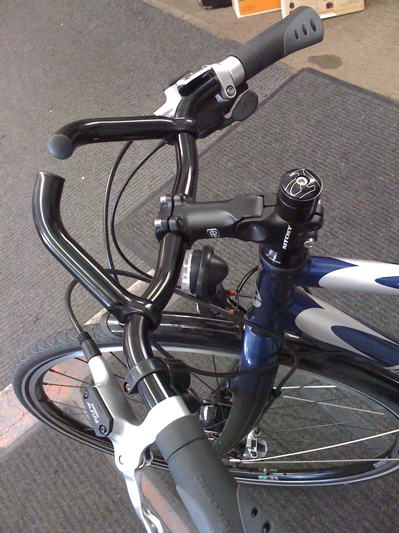 Here’s another handlebar set-up, combining a shallow rise, moderate-sweep bar with extensions mounted inboard of the the levers to provide an almost aerobar position. Of course, there are no elbow rests, so one couldn’t lean down on them. I didn’t have a chance to ride the bike, a Breezer Finesse. Aside from speculation, has anyone actually ridden this set-up?